Style meets comfort with these Thor Motor Coach Omni Super C Diesel motorhomes! You will find more power, more towing capacity, and more leg room, plus features of a class A RV with the diesel power and drivability that is found in the proven tough Super C F-550 with a 6.7L power stroke V8 engine. Inside one of these Omni Super C Diesel motorhomes is the largest overhead bunk in the market, featuring a panoramic skylight with a power shade. Along with this there are LED ceiling lights, 84" of interior height, and high-gloss glazed solid wood raised cabinet doors with hidden hinges and nickel finish hardware. So, what are you waiting for? 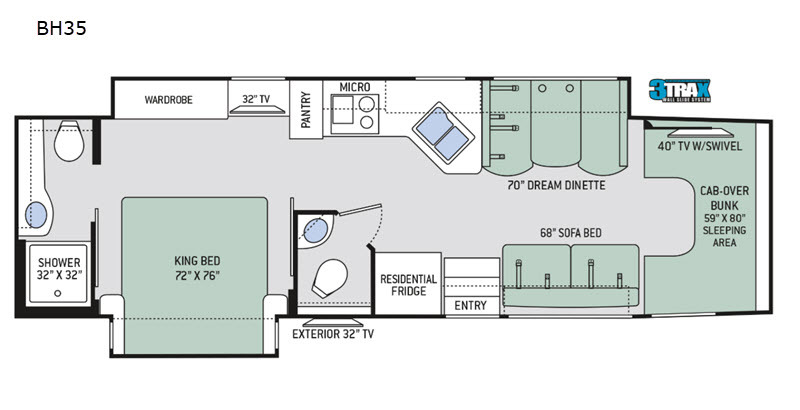 Come choose the perfect Thor Motor Coach Omni Super C Diesel motorhome that is perfect for you and your family! SYNC 3 Enhanced Voice Recognition Communications and Entertainment System. 8" Color LCD capacitive touchscreen with swiping capability, 911 assist, AppLink and smart-charging USB ports and Navigation.